I’m filling the gold stem stitch outline with split stitch in four stands of variegated blue. I’m very pleased with how it’s turning out. 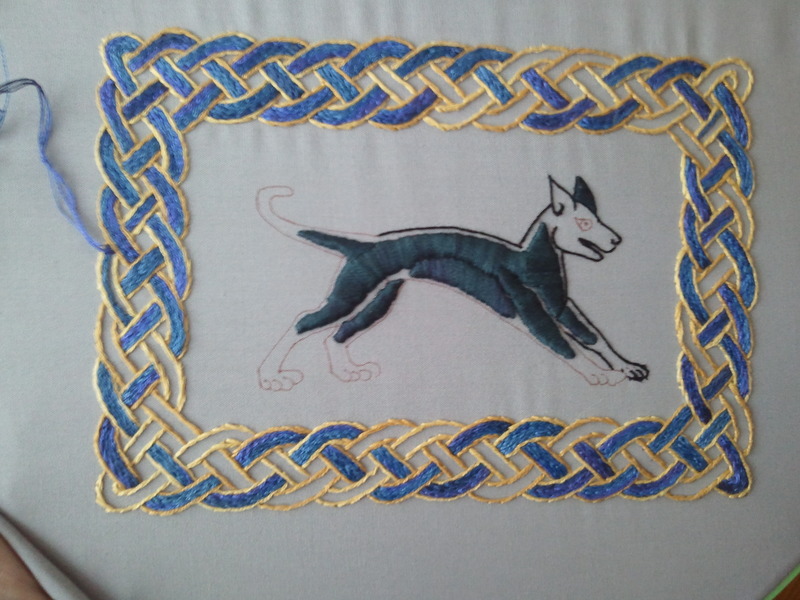 I’ve done knotwork with satin stitch before, and while I love satin stitch, I’m finding the way the split stitch follows the direction of the knotwork lines extremely happy-making. 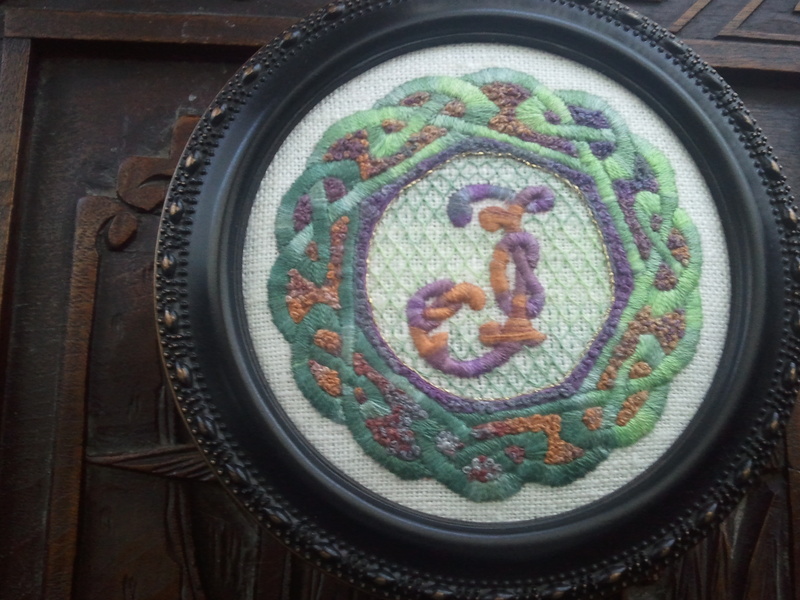 I used satin stitch knotwork to make a monogrammed box lid for my mother a few years back. I filled the spaces between the knotwork with French knots, but here I don’t feel that it needs it. This was Caron Waterlilies variegated silk. 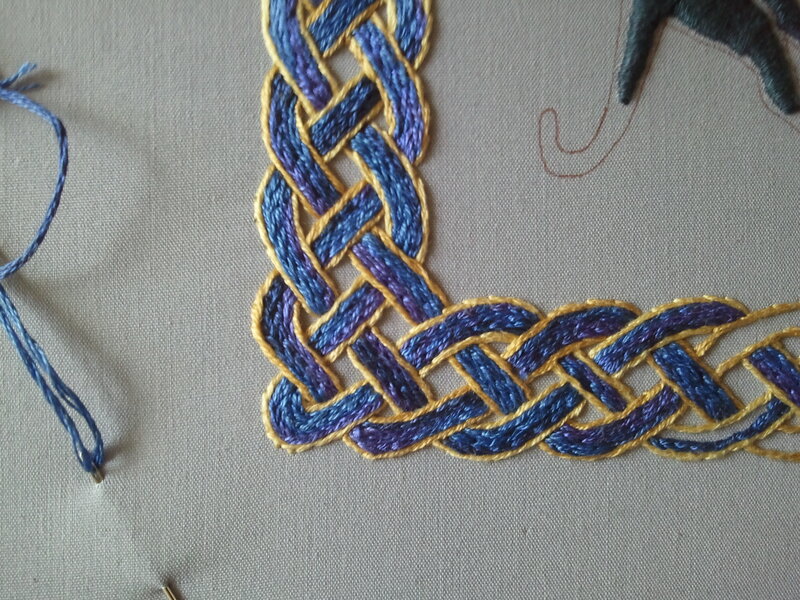 Split stitch and satin stitch are both good ways to fill knotwork, just two very different looks. I like them both. Now that I’m back home, I hope to get in some serious time with the carnation needlebook. This entry was posted in Uncategorized and tagged black dog, box tops, embroidery, surface embroidery by Rene. Bookmark the permalink.